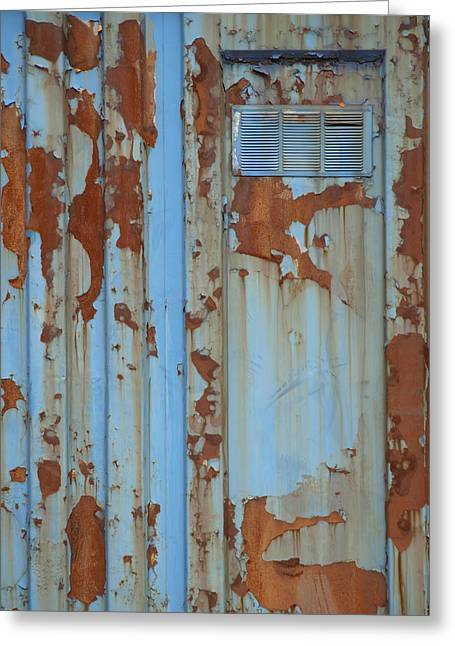 Rusty Blue Door is a photograph by Robert Gebbie which was uploaded on July 16th, 2010. 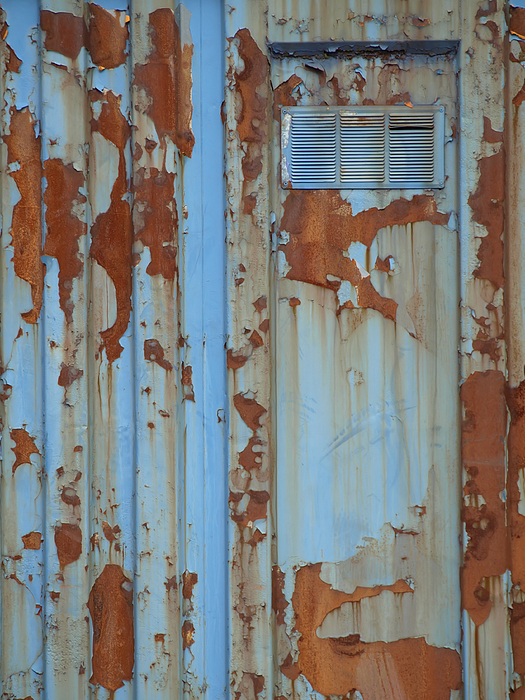 A rusty old metal building, flaking and peeling. View of door and frame with vent.